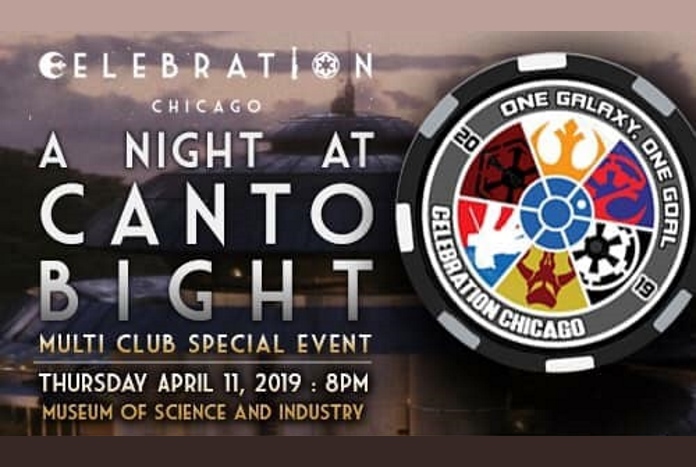 A Night At Canto Bight Multi-Club Bash takes place on Thursday April 11th, 2019 at the Museum of Science and Industry in Chicago. 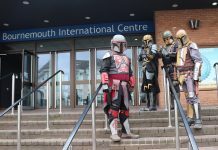 The event, put on by the 501st Legion, Rebel Legion, Mandalorian Mercs, The Dark Empire, Droid Builders, Saber Guild and Galactic Academy, is sure to be unique and features an open bar, live casino games, a great schedule of live music and DJ’s. Here are all the details you need…. Time: 8 pm opening to 2 am closing. Food Service: Heavy Hors d’ouvres. Bar Service: Open bar, unlimited drinks for attendees. Ticket payment: PayPal required to purchase tickets, sorry—no other payment options are being taken. Additional information: Tickets are currently capped at 3000. The cost of the ticket includes parking, admittance to the entire museum and all its interactive displays. Onsite Childcare may be available, please stay tuned for additional information. Note, the Bash is 18+ only. • Finnegan’s Ice Cream Station (Scoops and cones)! The team also has a fantastic night of Casino games planned and will be debuting a special poker chip series—it’s collectable, and at least one of them can only be gained by playing! • Live performances from Blues Harvest! • Live performances from Darth Elvis & The Imperials! • Live performances from Wesley and the Crushers! **Wesley and the Crushers will be performing limited sets at the Bash. As a notice to all ticket purchasers, Wesley and the Crushers will be filming video at this event, for use in an upcoming music video! Further information concerning releases is given during ticket purchase. Take the link below to get your tickets to this once-in-a-lifetime event.